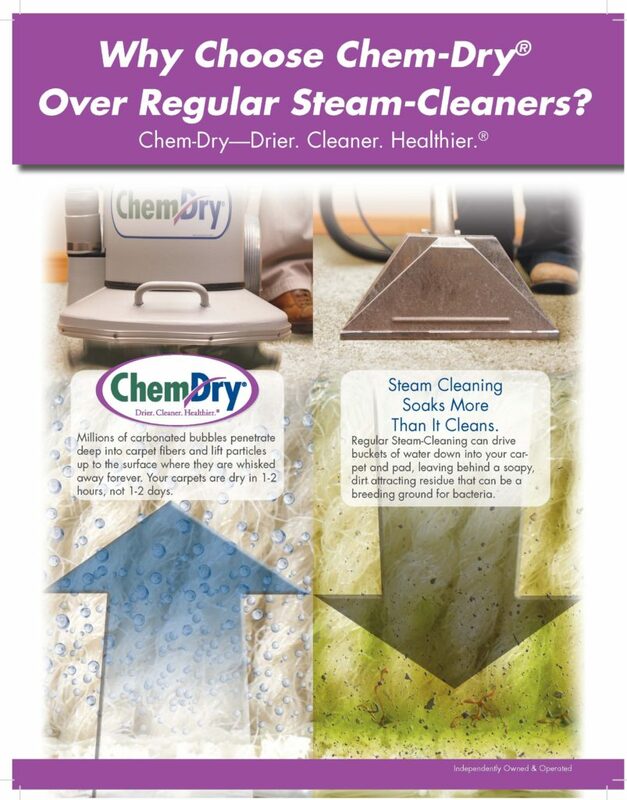 So while steam cleaners use excessive amounts of water that often soaks through to the carpet backing and creates a breeding ground for mold and mildew, Chem-Dry's low-moisture process doesn't carry the same risk and offers a safer and more conventient carpet cleaning solution. Plus, your carpets dry in just a few hours, not 1-2 days like with typical steam cleaning, and your carpet stays cleaner longer because there is no soapy residue left behind. Find your local Chem-Dry carpet cleaner today.